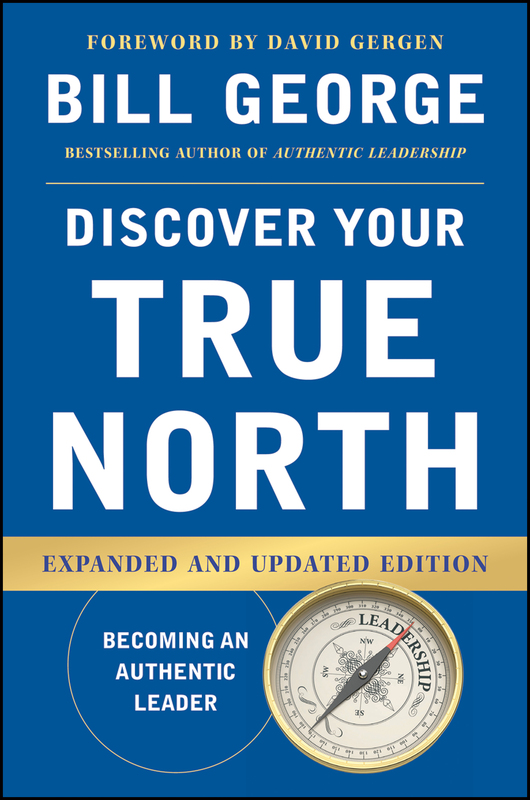 In the new edition of Discover Your True North, bestselling author Bill George profiles nearly 50 new leaders, including Warren Buffett, Indra Nooyi, Arianna Huffington, Paul Polman, Mike Bloomberg, Mark Zuckerberg, and others. Alibaba’s Jack Ma has emerged as China’s first truly global leader, the face of the new China: a free-enterprise entrepreneur working within the confines of a Communist government to build a more equitable society. Ma was on fire as we talked over lunch the day that Alibaba launched the largest initial public offering (IPO) in history. Its stock price makes Alibaba the eighteenth-largest global company by market capitalization. Ma’s goal isn’t making money. Because of Alibaba’s success, he is already China’s wealthiest citizen, with a $20 billion net worth. Yet when he asked his wife whether it was more important to be wealthy or have respect, they agreed upon respect. China’s large and growing economy has made it an increasing economic force the past two decades, but it has not produced global companies. Instead, Chinese businesses have focused domestically and engaged in low-cost production for international companies. Ma has a very different approach. He sees the Internet as a worldwide phenomenon that knows no borders. Today, the Alibaba companies serve 600 million customers in 240 countries. Ma intends to expand aggressively in the American, European, and emerging markets by linking 1 million small businesses with 2 billion Asian consumers. He also has plans to disrupt China’s commercial banking and insurance sectors. In the times I have been with him, Ma relishes telling his life story. Raised in humble origins in Hangzhou in the 1980s, he overcame one obstacle after another. He was rejected at virtually every school he applied to, even grade schools, because he didn’t test well in math. Returning to Hangzhou, he and Joe Tsai (now executive vice chair) founded Alibaba in Ma’s modest apartment. “We chose the name,” he explained, “because people everywhere associate it with ‘Open, Sesame,’ the command Ali Baba used to open doors to hidden treasures in One Thousand and One Nights.” Ma focused on applying his team’s ideas to help businesses and consumers find their own hidden treasures. He was unsuccessful in raising even $2 million from American venture capitalists, but, once again, he persevered. Eventually, he raised $5 million through Goldman Sachs, and later, Masayoshi Son of Japan’s SoftBank invested $20 million. Ma is passionate about building the Alibaba ecosystem in order to help people, a philosophy that he is trying to embed into the DNA of the company. At the company’s founding, he issued generous stock option packages to early employees because he wanted to enrich their lives. The day of the IPO, he insisted Alibaba’s six values–Customer First, Teamwork, Embrace Change, Integrity, Passion, Commitment–be placed on the pillars of the New York Stock Exchange. Ma’s commitment to a cause larger than himself has propelled him forward. My vision is to build an e-commerce ecosystem that allows consumers and businesses to do all aspects of business online. I want to create one million jobs, change China’s social and economic environment, and make it the largest Internet market in the world. Ma embodies the global intelligence, or GQ, that is needed for today’s global leaders. Succeeding in the new global context will require companies to cultivate a cadre of executives—as many as 500 per company—who have the capabilities of global leaders. Developing these new leaders requires unique leadership experiences, ideally in emerging markets, combined with leadership development programs that differ materially from today’s corporate training programs. Traditionally, the latter have focused on managerial skills and building one’s functional knowledge. Yet the shortcomings of leaders—and their subsequent failures—usually result from the lack of leadership capabilities that we call global intelligence, or GQ. Several of these characteristics—such as awareness—seem very similar to parts of the process we’ve examined for discovering your True North. That’s by design. Global interactions heighten the stress that leaders face. The more global the context, the more demanding leadership becomes. When leaders are placed in emerging market situations, the complexity increases exponentially because the differences in language, culture, customer preferences, negotiating tactics, business practices, laws, and ethical standards are so great. The same applies to the activities of daily living in these countries. That’s why many otherwise solid leaders struggle with global assignments and working in emerging markets. Let’s examine each of these characteristics of global leaders. Being a global leader requires the ability to understand today’s volatile world and foresee changes coming in the years ahead. Global leaders must be able to adapt quickly to the rapidly changing global context by shifting resources to opportunity areas and developing contingency plans to cope with adverse geopolitical situations. This is particularly true in emerging markets, where frequent changes in government, currency movements, financial crises, ethnic conflicts, wars, and terrorism may literally change the business climate overnight. In recent years, we have seen this happen in Greece, Egypt, Iraq, Pakistan, Ukraine, Russia, and India, to mention just a few. Global leaders must be prepared to alter their tactics quickly to adjust to changes. Leaders need to understand the world around them, as well as themselves—their strengths, vulnerabilities, and biases—to perceive how they will react to the significant cultural differences they encounter. When people from developed countries live in emerging markets, they become much more aware of themselves and their insecurities as they begin to understand the complexities of other languages, being in the minority, and differences in cultures and norms. Global leaders must have deep curiosity about the cultures they encounter. This includes a personal passion for diverse experiences and an insatiable desire to learn from other cultures. They also must be humble to recognize that different cultural norms and ways of doing things guiding other cultures may often be superior to their own. When you visit an emerging market, such as China or India, do you stay in a deluxe hotel and eat in Western restaurants, or do you get out into the country, meet the people, go to local markets and shops, and visit people’s homes to see how they live? That marks the difference between domestic leaders traveling overseas and global leaders who are open to experiencing all the world has to offer. Empathy is the ability to walk in someone else’s shoes. This requires humility and the capability to engage people from different cultures personally, rather than standing back and judging them. Empathy builds rapport and bonding and creates lasting relationships. Only with empathy are leaders able to draw the highest level of engagement from colleagues from different cultures and empower them to achieve exceptional performance. The challenge for global leaders is to align all employees around the company’s mission and its values, a commitment that transcends national and cultural differences. Achieving alignment is far more difficult in a global context because the business practices and ethics in emerging markets often differ so dramatically from those of developed countries. Thus, global leaders are asking local employees to put the company’s mission and values ahead of the business practices and values in countries where they have grown up and worked. It is no longer sufficient just to comply with the laws and ethics without regard for negative consequences their business practices may have on the countries in which they operate. However, this does not mean giving up their culture and the norms by which they live, because norms can vary widely from country to country. In a global context, collaboration is the ability to create horizontal networks that cut across geographic lines, bring people together around common goals, and create a modus operandi that transcends geographic norms. In authentic global collaborations, participants put company and project goals first and work together in partnerships to achieve them. The most successful geographic collaborations are led by global leaders who know the strengths and weaknesses of each regional group and who make assignments within the team to take advantage of their relative strengths. One of the greatest challenges global leaders face is incorporating local and global issues into an integrated corporate strategy. Such a strategy enables them to optimize their position in a wide array of local markets efficiently to create sustainable competitive advantage. Doing so requires deep understanding of local markets and the global vision to see how their companies can serve their customers’ needs in a superior manner by leveraging their corporate strengths. That’s the only way they can outcompete local companies, which often have a cost advantage because they operate in the region. We don’t believe in “Think local; act global.” Instead, we believe in “Act local; think global.” The company starts by acting locally, creating relevance through an understanding of consumer needs and desires and their local cultures. Then we leverage Unilever’s vast global resources to deliver superior products to meet those needs. This is how we gain competitive advantage over local producers. We are committed to bringing our expertise to local markets. Today’s authentic global leaders recognize that in the future, businesses can only thrive by serving all the people of the world equitably while also contributing to their societies. Reprinted from Discover Your True North, Expanded and Updated Edition, Copyright © 2015 by Bill George. Published by Wiley.